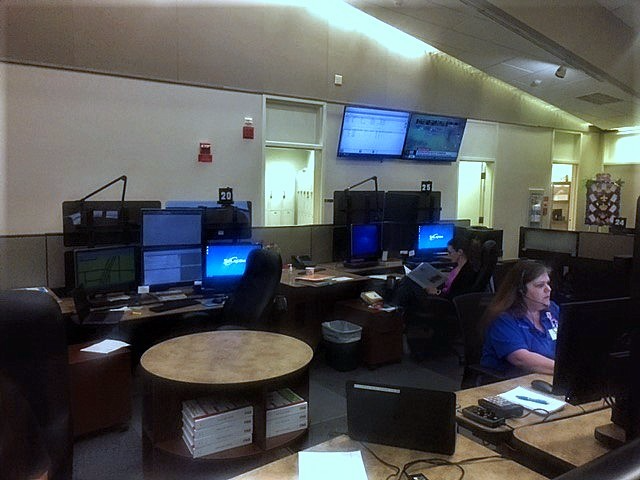 9-1-1 Call Taking solution into service in Mobile County, Alabama. The Guardian system is an IP centric solution from Solacom Technologies. The system is designed to support both legacy and Next Generation 9-1-1 calls and new types of requests for assistance, such as text to 9-1-1, as they become defined and available in the industry. The installed configuration includes a geo-diverse design with a total of 46 Guardian workstation positions at the Primary site, and 10 Guardian workstation positions at the Mobile County EMA office which serves as the Backup location. A total of 22 Guardian Responder backup telephone sets have been implemented at the Primary and 18 Guardian Responder backup telephone sets are in service at the Backup site. Ten remote Police Departments throughout the County also equipped their agencies with the Guardian Responder telephone sets. The District will be implementing Text-to-911 and Text-from-911 capability on seven positions at the Primary location. Work with the wireless carriers in the County will begin shortly.